THE JIMI HENDRIX EXPERIENCE – Released on July 10th, 2012, via Sony Legacy, Live At Berkeley is a Rock ‘N Roll gem to own. There’s never been a doubt in my Metal mind, that The Jimi Hendrix Experience were a trio of musicians that helped plant the seeds of Hard Rock and Heavy Metal. 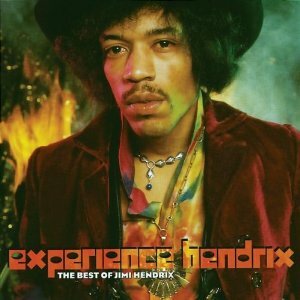 I always ponder to myself, what would Jimi Hendrix think of today’s Heavy and Extreme Music? How would have Jimi’s guitar playing evolved if he had never passed away at such a young age of 27? I imagine I’m not alone with the wonder of it all. I bought this CD last week and I couldn’t be happier. Then again, if I scored a million dollar lottery ticket, I would be happier. The production across the board on Live At Berkeley is sensational; the clarity of sound is undeniably first-rate. (The original location recordings were engineered by Abe Jacob). To have The Jimi Hendrix Experience captured live from this momentous evening of Rock history is Classic Rock personified. In my personal Metal opinion, there can never be enough live material of The Jimi Hendrix Experience; these Rock historic recordings recovered and released to the public are sonic journeys into a gilded past of music, in which I absorb like a sponge. There exists that select group of artists and bands that will always meet the demand for their (often times rare) unreleased studio and live music; The Jimi Hendrix Experience is a profound member of this select group. As with many live albums that have spanned the history of Rock Music, Live At Berkeley can also be considered a greatest hits. With such iconic Rock/Hard Rock songs such as Hey Joe, Purple Haze, Stone Free, Foxy Lady and Jimi’s adaptation of The Star Spangled Banner, Live At Berkeley showcases the songs that made both Jimi Hendrix and Heavy Rock escalate into the mainstream of popular music, during times of enormous social change. These are the songs that defined an era of Hard Rock, laying the field stone path for Hard Rock and Heavy Metal to follow. 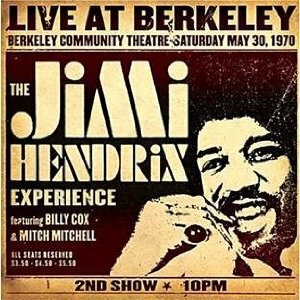 Live At Berkeley was recorded on May 30th, 1970, (the 2nd show) at the Berkeley Community Theatre. On that storied night, Jimi Hendrix, along with Mitch Mitchell on drums and Billy Cox (from Band Of Gypsys fame) on bass, most likely never knew of their eventual pop-culture and Rock historical impact they would have on multiple generations of musicians and fans. The Jimi Hendrix Experience left a Rock ‘N Roll impact that can never be duplicated ever again. Stones Note: The also legendary Noel Redding will always be included when I reference The Jimi Hendrix Experience; being the original bassist for this band, Noel was no longer a member when this Berkeley concert was recorded. The Jimi Hendrix Experience has left me awestruck with their pioneering contributions and immeasurable influence to Rock and Heavy Music. With all of its glorious genres that have spiraled from the bulging and glowing core of Heavy Music, I can thank The Jimi Hendrix Experience (and other select pioneering artists and bands) for all being the incubus that kick-started it all. The very least I can do now, is write about legends the likes of The Jimi Hendrix Experience and celebrate the release of their live music from the past. The Jimi Hendrix Experience… never to be forgotten and never to be replaced. Metal be thy name. LONG LIVE THE LEGACY OF THE JIMI HENDRIX EXPERIENCE. THE NEW CZARS – Metal Odyssey is extremely proud and honored, to present to the Rock Music world, the World Premiere Exclusive listen of Hey Joe covered by The New Czars! Metal Odyssey is the only place you will hear this cover version right now! *(Just click on the arrow in the bar below, to hear this song, in it’s entirety for yourself!). This ultra classic song from the ever legendary and late Jimi Hendrix is timeless. Hey Joe was released by The Jimi Hendrix Experience, on their debut album, Are You Experienced in 1967. This cover of Hey Joe by The New Czars is solid in both it’s relevancy and classic heaviness carried over from it’s time. Greg Hampton adds his unique vocals and guitar skills to a song that some may consider sacred and does so with such rightful Rock reverence, which makes me say whoa, well done! Greg’s vocals have an instilled “Classic Rock sound and vibe” that only makes his singing Hey Joe that much more real to me. 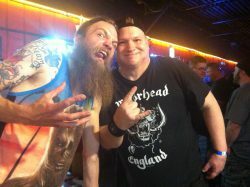 In my Metal opinion, Greg Hampton and The New Czars have nailed down the true Rock essence of Hey Joe. Jimi Hendrix is probably smiling from above, as he hears this cover version of Hey Joe. 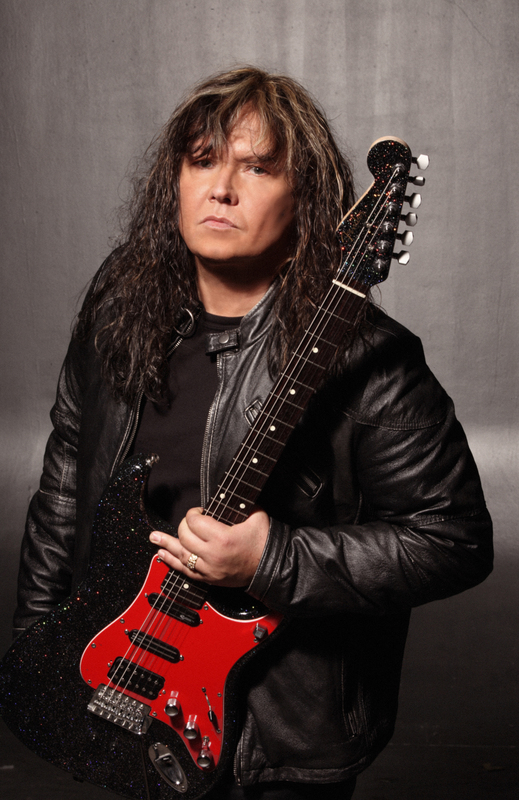 Greg Hampton tells Metal Odyssey: “I have been a lifelong fan of Jimi Hendrix. With the fortieth anniversary of Jimi Hendrix’s passing approaching, I’ve been listening to a lot of his music. I wanted to do something to commemorate Jimi Hendrix on this important anniversary, through song. This cover of Hey Joe I’ve been working on for quite some time and I am very proud of it. I hope the fans will appreciate this cover of Hey Joe and like it as much as I do”. * This cover version of Hey Joe by The New Czars will be available for purchase on itunes, on October 5, 2010. * Hey Joe will also be featured on the forthcoming EP from The New Czars, titled: Mining The Ruins. This EP is slated for a November 30, 2010 release. * Greg Hampton, (founding member of The New Czars), plays all instruments on this cover of Hey Joe, except for drums which are played by The New Czars alumni and multi-instrumentalist Chris Collier. * To listen to the World Exclusive Premiere of Hey Joe by The New Czars, click the arrow in the bar below! Long live the music of Jimi Hendrix! Long live The New Czars!